With mobile annihilating the mainstream PC industry, Intel knows gaming is buttering its bread. The chip giant launched its sixth-generation "Skylake" desktop processors today with two enthusiast quad-core models: the Core i7-6700K and i5-6600K. The 14-nanometer chips are unlocked for maximum overclocking (all the "K" series CPUs will be), and if you're not into that, the two new chips have fairly high base frequencies: 4.0GHz for the Core i7-6700K and 3.5GHz for the i5-6600K. Compared to similar current-gen models, prices are reasonable -- suggested retail is $350 for the i7-6700K and $243 for the i5-6600K, with street prices likely lower. 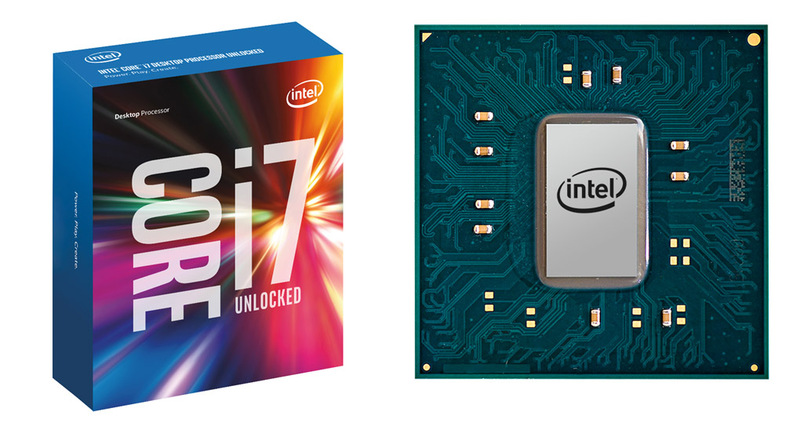 Unfortunately, the i7-6700K offers just a modest performance increase (10 percent) over last-gen Haswell i7-4790K CPUs and little, if any, advantage over the current Haswell-E i7-5820K chip. However, the Skylake models are the first 14-nanometer performance CPUs that Intel has launched, because the lower-powered Broadwell 14-nanometer desktop chips aren't aimed at gamers. The smaller transistors should help overclocking, and rumor has it that the i7-6700K can be pushed to 5GHz, which may give it an edge over current tech. At any rate, with 10-nanometer "Cannonlake" CPUs now delayed, Skylake is it until next year. Intel also revealed a new platform for the chips, the Z170 chipset. Like Haswell-E, the Skylake models use DDR4 RAM, which is much faster than DDR3 memory, but also way more expensive. (Skylake chips won't run on Haswell-E X99 motherboards, which also use DDR4 RAM.) However, the Z170 chipset has a dual-memory controller, so you can use cheaper DDR3L memory on motherboards that support it. Another plus to the platform is new Intel HD 530 graphics, which run 20 to 40 percent faster than last-gen Intel HD. It also has 16 PCI Express 3.0 lanes, giving you more USB 3.0, graphics and storage options. And Intel just happens to have a new PCI Express 3.0-based 800GB 750 series SSD drive with read speeds up to 2,200MB/s. Many folks expected Intel to launch more of its Skylake lineup today, including mainstream and mobile CPUs, so what happened? That was just a rumor in the first place, but Intel has narrowed down the timeline. It'll reveal more information at the Intel Developers Forum on August 18th, and launch the rest of the sixth-gen Skylake lineup sometime in Q3 2015. The mainstream chips will also see a modest performance bump over current-gen tech, but are expected to sip less power, giving future MacBooks, Ultrabooks, laptops and tablets improved battery life. Down the road, it may also reveal more high-performance desktop Skylake CPUs, hopefully including an "Extreme" model.